Letters of encouragement are unusual in that they can be either business or personal correspondence. It depends on to whom you are writing the letter and the purpose for which the encouragement is intended. For example, often we will have to write a letter of encouragement to a business colleague who is going through a temporary situation of some difficulty. Maybe the person was laid off due to company staff cutbacks or faces a personal challenge such as alcohol abuse or drugs. In such a case, we may wish to send a card, along with a letter of encouragement, to buoy the person’s spirits. To let them know others are thinking of them and keeping them in their prayers. Letters of encouragement are often most effective if handwritten. This shows a more personal nature between friends, even if those friends were at one time nothing more business colleagues. Often a card, whether to a business colleague or a friend, will accompany a letter of encouragement. The message of encouragement will be contained within the card. The card itself will often use muted colors and high quality paper stock. The message may be printed in a script designed to look like handwriting or, better still, will actually be handwritten into the card by the sender. Various resources exist that can help you write such letters of encouragement. Whether they are handwritten or done on a computer, they should always be proofread carefully. 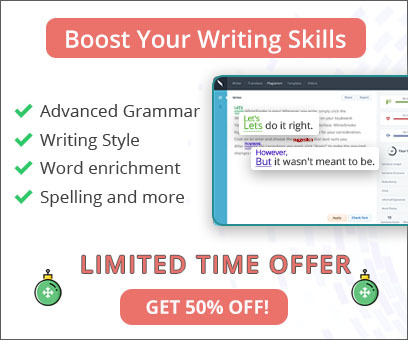 If you have difficulty composing such messages of encouragement, there are many sources available that can be used for ideas both in electronic form and through printed reference materials - of course, WhiteSmoke can help you check grammar and improve your writing style. Writing a sincere message of encouragement to either a business colleague or a friend should not be anything you need to dread. Anyone can do it. 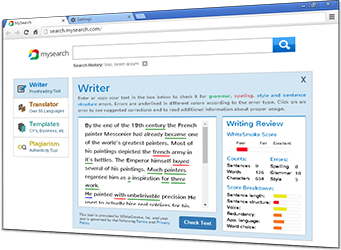 For those who are faced with special challenges in this regard such as difficulty with the English language, there are many resources available to help make the task easier.